In our celebrity-obsessed culture, artists are often as much absorbed with creating a persona for themselves as with creating a body of work. The first contemporary artist to really make his persona the focus of his work was Andy Warhol; then performance artists in the 1970s and 1980s started using the medium for social and political commentary. 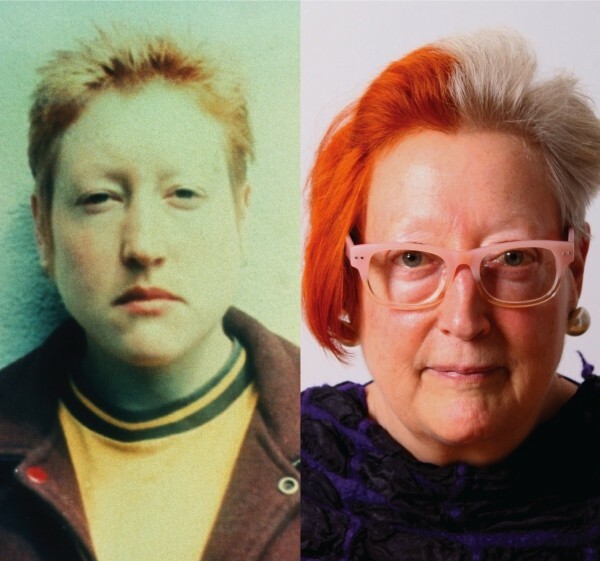 For four decades, Martha Wilson has been at the forefront of this movement, with her work in live performance, video and photo-text juxtapositions in the late 1970s collaborating with DISBAND—“the all-girl band of artists who couldn’t play any instruments,” as she puts it—and founding the nonprofit art space Franklin Furnace in Brooklyn. The traveling exhibition Martha Wilson: Staging the Self at the Utah Museum of Fine Arts traces the development of her work and herself as an artist. “In ‘Posturing: Age Transformation,’” she continues, “I explain that I was a 25-year-old artist dressed up as a 50-year-old woman trying to look like she is 25—and that this experiment made me extremely anxious because of my fear of ‘over 30’ status in society. In all of these cases, I was working with the material I had at hand—my female body.” Later on, she would take on the characters of Nancy Reagan, Tipper Gore and Barbara Bush. An artist talk and panel discussion Sept. 18 will be a crucial part of the exhibit, as an opportunity to hear a performance artist do just that: perform, in a sense, presenting the ideas behind her work, and discussing them with scholars from the region. Whitney Tassie, curator of modern and contemporary art at UMFA, says, “This is a very important program for us. One of the things that makes the UMFA special is its connection to the university. We want to contribute to the academic life on campus with smart exhibitions that can be material for all students. The multidisciplinary collaborative potential is huge at a university museum like the UMFA. I think the panel discussion is going to generate some new ideas, and I’m thrilled that we can be the impetus for new scholarly thought.